A poorly dressed blind man stands out against a dark background. With his hands, he touches a sculpted bust on a table that also bears a painting of a face. The work was signed by Jusepe de Ribera in 1632, but even without that signature there would be no doubt as to its authorship, as both its style and its subject matter are typical of his work. 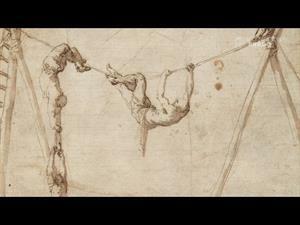 The figure is quintessentially Riberesque, as are the drawn-out manner of painting and the predominance of earth tones, as well as the highly contrasted light and shadows that bring out the elements of greatest expressive or narrative import, generating a profoundly emotional atmosphere. With these elements, Ribera creates an image illustrating one of his most frequently recurring themes, one that distinguished him from his peers and contributed significantly to his fame throughout Europe: allegorical figures and depictions of philosophers. That interest emerged in his work during his earliest period, in the second decade of the seventeenth century, and continued through the end of the 1630s. During the seventeenth and eighteenth centuries, this work hung in a hall at El Escorial, Madrid, dedicated to Ribera´s depictions of philosophers. There it was known as Gambazo, the blind man, famous for his sculptures - Blind Gambassi was a blind sculptor named Francesco Gonnelli who was born in 1603 and died in 1664. However, as Elizabeth du Gué Trapier points out, the apparent age of Ribera’s character discounts him from being Gambassi. The key for correctly identifying him lies in an early series of paintings that Ribera dedicated to the senses, which dates from around 1615. The one representing touch (The Norton Simon Foundation, Pasadena, United States) shows a blind man touching a bust, and there, too, the table bears a painting of a head. Between 1615 and 1632 Ribera’s style became more dramatic as he refined his approach to render emotions in a more believable manner. The two lightest and most intensely lit areas of The Sense of Touch, 1632, are also the most expressive, situated at the top and bottom of the painting’s central axis. At top, the blind man shows that, while he cannot see the light, he can sense it through his forehead, nose and closed eyelids. These convey an extremely subtle and extraordinary degree of reflection and attention, imparting to the viewer the sensations he receives through his hands as he slowly feels the bust near the bottom of the composition - which is also lighter and more brightly lit than the rest of the painting. This is Ribera’s way of emphasising the mental aspects of sensation and identification. Ribera’s occasional taste for paradox appears in the contrast between the aged and wrinkled figure of the blind man, marked by a lifetime of experiences, and the terse, youthful but lifeless appearance of the statue. The painting on the left further extends this paradox through a veiled allusion to one of the fundamental themes of art theory in that period: the contrast between painting (which is two-dimensional) and sculpture, which is three-dimensional and can be perceived not only visually but also through touch. Height: 125 cm. ; Width: 98 cm. Royal Collection (Royal Monastery of San Lorenzo de El Escorial, Madrid, 1764). Jiménez, Andrés(Jer. ), Descripcion del Real Monasterio de San Lorenzo del Escorial:, en la Imprenta de Antonio Marin, Madrid, 1764, pp. 170. Ponz, Antonio, Viage de España. Vol. I, Joachin Ibarra, Madrid, 1776, pp. 233. Trapier, Elizabeth du Gué, Ribera, [Hispanic Society of America], Nueva York, 1952, pp. 74/lám. 47. Fitz Darby,D, Ribera and the blind man, The Art bulletin, XXXIX, 1957, pp. 195-217. Soria, M, Art and architecture in Spain and Portugal and their american dominions 1500 at 1800., Penguin Books, 1959. Tüngel, Richard, 400 Jahre Kunst, Kultur, und Geschichte im Prado, Schweizer Verlagshaus, Zurich, 1964, pp. 124/lám. 56. Longhi, Roberto, I 'cinque sensi' del Ribera, Paragone, 193, 1966, pp. 74-78 il.47a 50b. Exposicion de Arte Español, Ministerio de Asuntos Exteriores De, Tokio, 1970, pp. ?. Spinosa, Nicola., La obra pictórica completa de Ribera /, Noguer, Barcelona.Madrid, 1978, pp. ?. Pérez Sánchez, Alfonso E., Panorama de la pintura española desde los Reyes Católicos a, Servicio de Publicaciones del Instituto de Coopera, Madrid, 1980, pp. 52. Brown, Jonathan, Mecenas y coleccionistas españoles de Jusepe Ribera., GOYA: REVISTA DE ARTE, 1984, pp. 149. Hecht, Peter, The paragone debate: ten ilustrations and a coment., SIMIOLUS: NETHERLANDS QUARTERLY FOR THE HISTORY OF ART, 14, 1984, pp. 125-136. Museo Nacional del Prado, Museo del Prado: catálogo de las pinturas, Museo del Prado, Madrid, 1985, pp. 556. Velázquez en Zijn Tijd: zeventiende-eeuwse Spaanse schilderk, Rijks Museum, Amsterdam, 1985, pp. 60. Ferrari, Oreste, L'Iconografia dei filosofi antichi nella pittura del s. XVII in Italia, Storia dell arte, 1986, pp. 151/lám. 11. De Greco à Picasso, Ministerio de Cultura, Madrid, 1987, pp. 136. 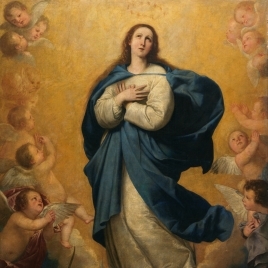 Cots Morató, Francisco, Estudio Historico-Artistico del Templo de Santa Maria la May, Francisco Cot Morato, Napoles, 1989, pp. 15. Benito Domènech, Fernando (1949-2001)), Ribera. 1591-1652., Bancaja, Valencia, 1991, pp. 83. Jusepe de Ribera, Piero CorsinoInc., Nueva York, 1992, pp. ?. Pérez Sánchez, Alfonso E. (1935-2010)), Jusepe de Ribera 1591-1652 /, Electa, Napoles, 1992, pp. 187. Orihuela, Mercedes, Jusepe de Ribera. Fons Dels Museus del Prado i Sant Pius V, Museo San Pio V, Valencia, 1992, pp. ?. 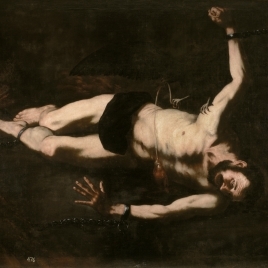 Ribera : (1591-1652) /, Museo del Prado, Madrid, 1992, pp. 263,314. Ribera, 1591-1652, Fundación Social y Cultural Kutxa, San Sebastian, 1993, pp. ?. 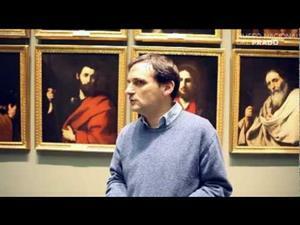 Aragó Strasser, Daniel, Acerca de la presencia del motivo del paragone en dos pinturas de Ribera., BOLETIN DEL MUSEO E INSTITUTO 'CAMON AZNAR', 1996, pp. 142/lám. 2. Ferino Pagden, Sylvia, I Cinque Sensi Nell'Arte Immagini del Sentire, Leonardo Arte, Venezia, 1996, pp. 148. Los Cinco Sentidos y el Arte, Servicio de Educacion y Accion Cult, Madrid, 1997, pp. 180. Castillo-Ojugas, Antonio, Una visita médica al Museo del Prado, You & Us, Madrid, 1998, pp. 56. Museo Nacional del Prado, Pintura barroca española: guía, Museo Nacional del PradoAldeasa, Madrid, 2001, pp. 82. Mai, Ekkehard, Wettstreit Der Kunste: Malerei Und Skulptur Von Durer Bis Da..., Ed.Minerva, 2002, pp. 256-257. Portús, Javier, La Colección de Pintura Española en el Museo del Prado, Edilupa, Madrid, 2003, pp. 85. De Tiziano a Goya: grandes maestros del Museo del Prado, Museo Nacional del Prado: SEACEX, Madrid, 2007, pp. 215. El joven Ribera, Museo del Prado, 2011, pp. 142-147. 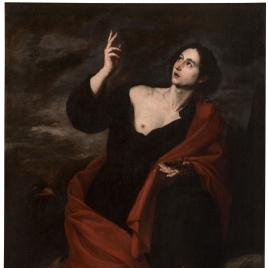 Il Giovane Ribera tra Roma, Parma e Napoli, 1608-1624, Museo di Capodimonte: Arte'm, 2011, pp. 154-159. Payne, John, Jusepe de Ribera 'Allegory of touch' En:, Italian masterpieces from Spain's royal court, Museo del Prado, National Gallery of Victoria Thames & Hudson, 2014, pp. 140. Zaragoza Vidal, Mª Victoria, 'El ciclo de los sentidos de José de Ribera: el carácter del individuo' En: Valor discursivo del cuerpo en el barroco hispánico, Universitat de València,, 2015, pp. 231-223 [214-220]. Santos Bueso, Enrique, Oftalmología en el Museo del Prado, Gertograf, 2015, pp. 16. 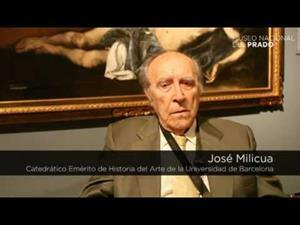 Portús Pérez, Javier, Velázquez and the Celebration of Painting: The Golden Age in the Museo del Prado, The Yomiuri Shimbun: The National Museum of Western Art, Tokio, 2018, pp. n.2. Catálogo Museo del Prado, 1854-1858. Núm. 419. Inv. Real Museo, 1857. Núm. 419. 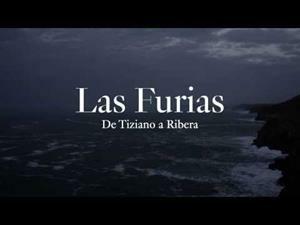 Ribera. / 419. El ciego de Gambazo, escultor (retrato de medio cuerpo) / Esta con la mano derecha sobre una cabeza del Apolo, conjeturando por el tacto las proporciones. (E.) / Alto 4 pies, 5 pulg, 6 lin; ancho 3pies, 6 pulg. Catálogo Museo del Prado, 1872-1907. Núm. 1003. Catálogo Museo del Prado, 1910. Núm. 1112. Catálogo Museo del Prado, 1942-1996. Núm. 1112.